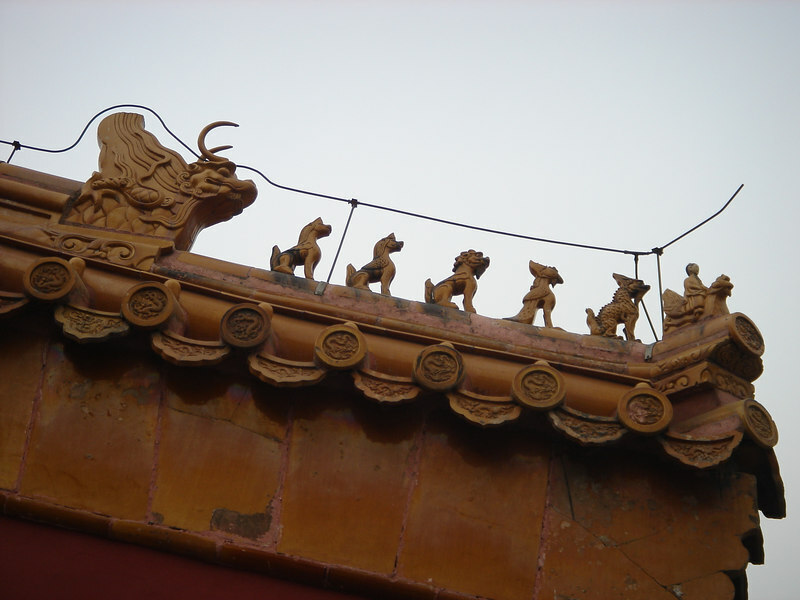 the number of figures indicates the importance of the building. The animals are mythical beasts who looked out for evil spirits. The last, biggest one is an immortal animal who can eat or scare away the evil spirits.